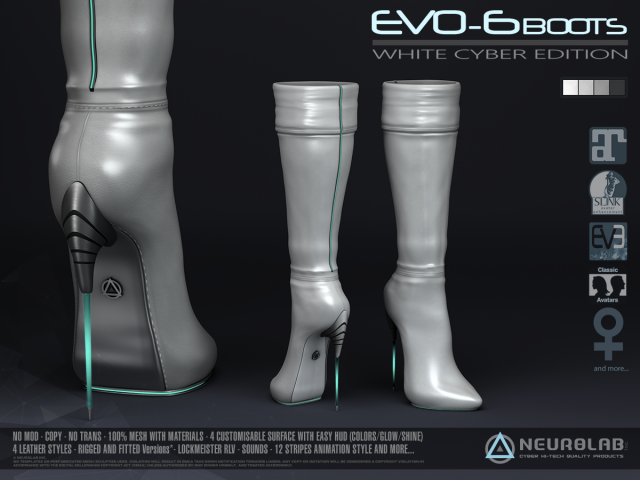 Neurolab is proud to present to you the New EVO-6 Boots. highly realistic details! 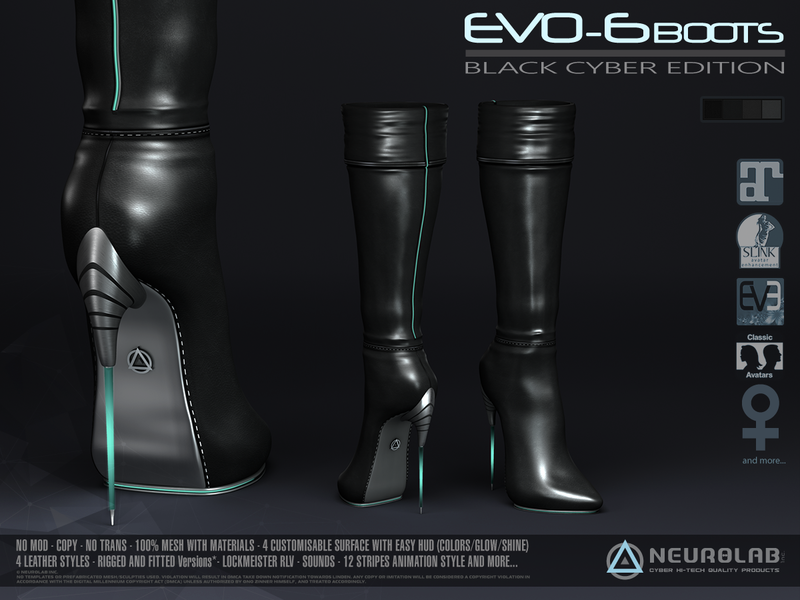 realism pushed to the extreme: a stiletto heel like never before, a perfect shape, a wonderful line. ✪ TRY DEMO before Purchase! • Resizer Stretch XYZ, for a perfect Fit! • 2 Lights channels to multicolors customize parts! • 12 animated Stripes textures choice for Heel light parts with Amazing lighting effects! 1. Wear/ Add the boots. 5. ADJUST YOUR SHOES TO ALPHA LIMIT with up and down. 2. set the ALPHA with your MESH AVATAR HUD. – Wear the Smart HUD, touch any boot… Click to “HUD CUSTOM” button to the boot menu to connect product and customize.. Revision 1.1: Version SLINK, belleza Freya and Isis added.